CARLSBAD, Ca. 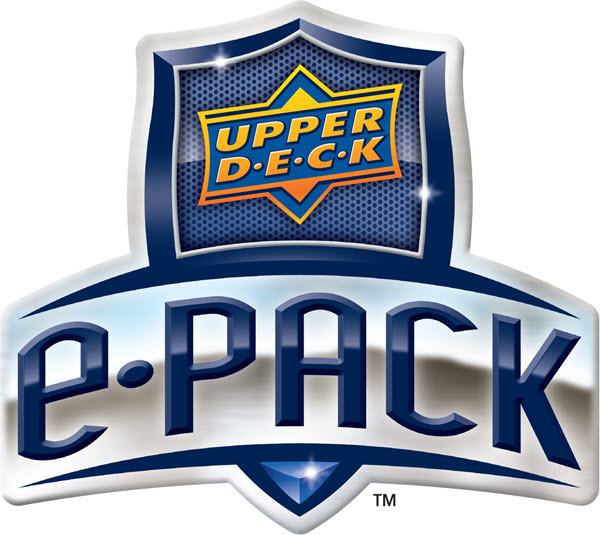 (January 28, 2016) – Upper Deck has revolutionized the trading card industry once again by unveiling e-Pack. With e-Pack, users can instantly purchase and open packs online at anytime, from anywhere. Entire card collections can be easily viewed, sorted and stored digitally, eliminating the need for any physical storage space, while still providing an exciting pack opening experience. What makes e-Pack’s patent pending technology truly unique is the ability to have actual physical versions of digital cards mailed out at any time. Upper Deck’s popular flagship brand, UD Series One Hockey (UD1), kicks off the e-pack launch today in conjunction with the 2016 Honda NHL® All-Star celebration in Nashville, TN. UD1 e-packs will offer never before seen exclusive content including ‘Code to Greatness’ and ‘Instant Impressions’ inserts, as well as foil board base cards and Young Guns parallels featuring Connor McDavid and other top rookies. Collectors are also able to link e-Pack with their COMC.com (CheckOutMyCards.com) account. By connecting e-Pack with COMC, collectors can easily post and sell cards without the hassle of scanning card images or having to ship them. Through the COMC platform, cards can be sold online and shipped directly from COMC to the buyer. To ensure a safe and secure environment for all e-Pack transactions, Upper Deck has teamed with Dynamics Inc., an award winning company known for providing advanced payment platforms that deliver the most secure and seamless experience available today. Dynamics Inc., founded in 2007 by Jeff Mullen, designs and manufactures intelligent battery-powered payment devices and advanced payment platforms. The company has currently launched products with banks in the United States and Canada and has won five Finovate Best of Show awards, two Cartes Sesames awards, a Best in Show award for Personal Electronics at the International Consumer Electronics Show (CES), and the $1M People’s Choice Award at DEMO. Dynamics investors include MasterCard, CIBC, Adams Capital Management and Bain Capital Ventures. For more information, visit www.dynamicsinc.com. COMC is the leading marketplace for trading cards. The company has been pioneering online consignment for 8 years and is regarded as the most innovative online marketplace in the trading card industry. By offering features such as the ability to buy now from thousands of sellers but ship later with one flat shipping fee, our buyers are able to benefit from the most efficient shipping system in the industry. Independent research has identified COMC as the best site for set builders and player collectors. Hobbyists from around the world have consigned more than 20 million trading cards with COMC, and there are currently 12 million individually scanned trading cards for sale. COMC sells more single trading cards than any website other than eBay. To learn more, visit www.comc.com.